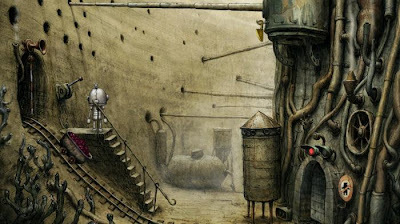 I picked up a bunch of games for next to nothing in the Steam Summer Sale these past few weeks (resulting in spending no more than £6 in total-bargain!). 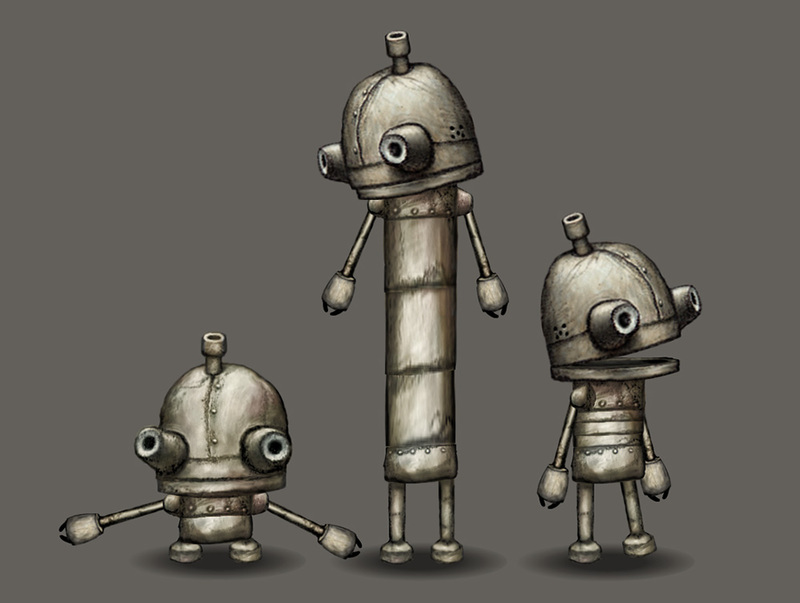 Machinarium was one of them. 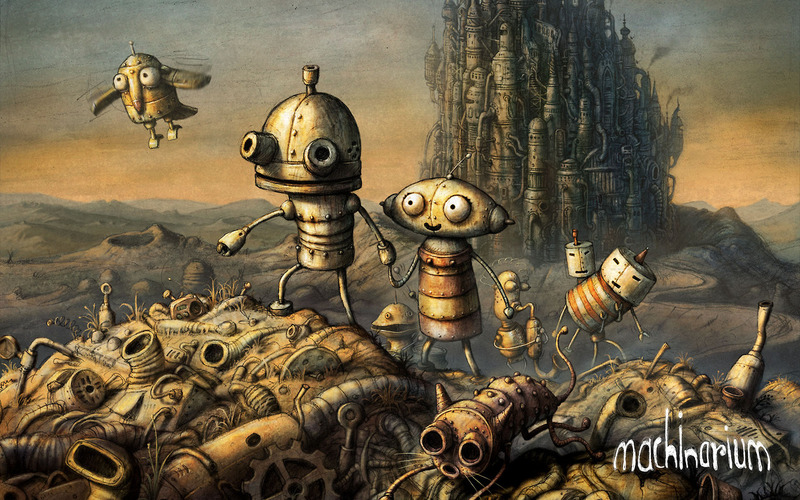 A point and click game loaded with puzzles, quirky but beautiful hand-drawn animation and a cute robot, I am loving this at the moment. 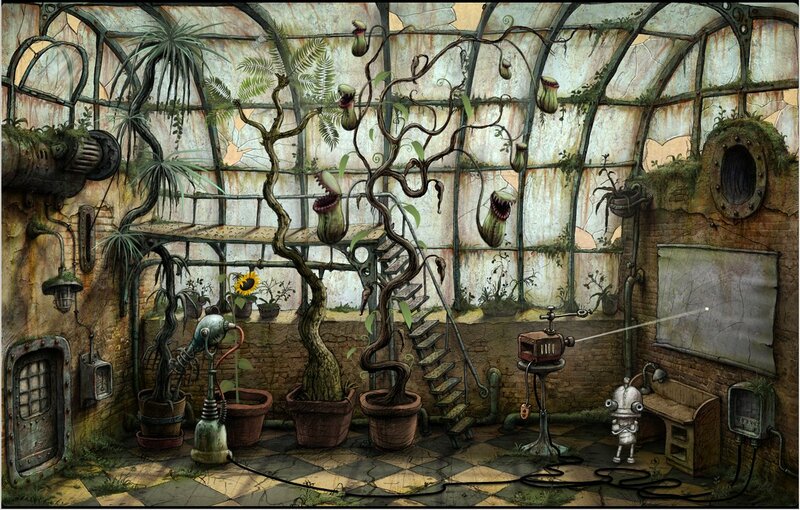 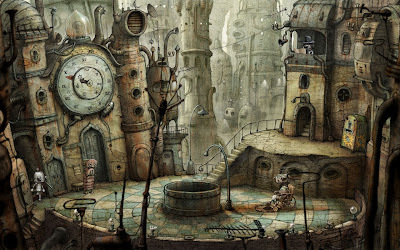 I also found out that Machinarium was created by Amanita Design, creators of a bizarre, surrealist, sometimes disturbing but equally enthralling point and click browser game Samorost(<-click to play it! 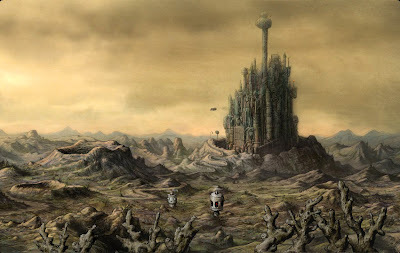 ), which I loved when I was younger. 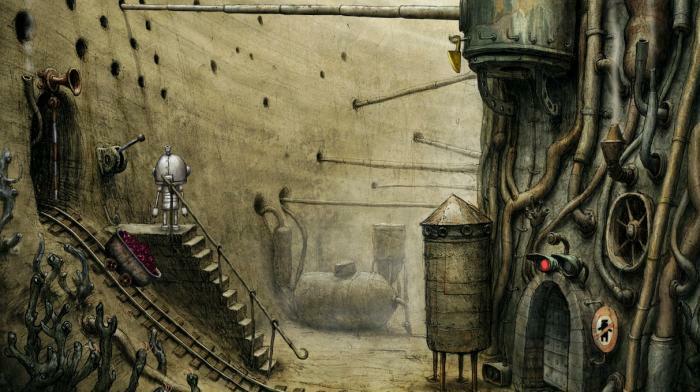 One of my favourite aspects of Machinarium is the artwork, some of which you can see below. 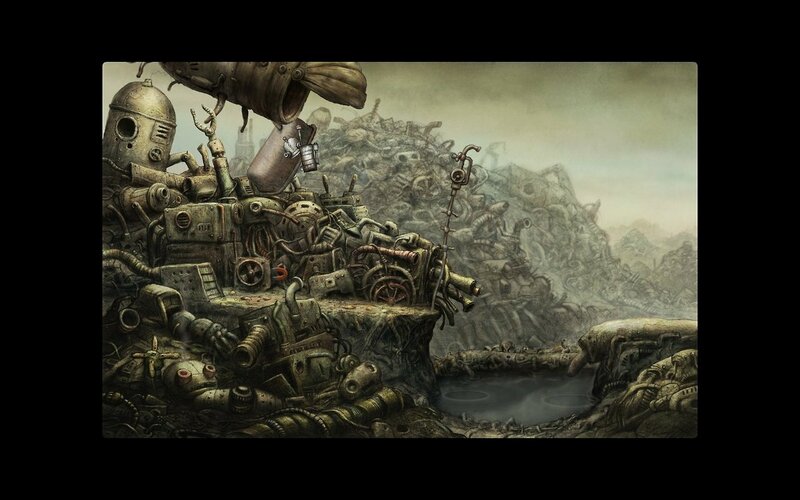 (Click an image to make it bigger).